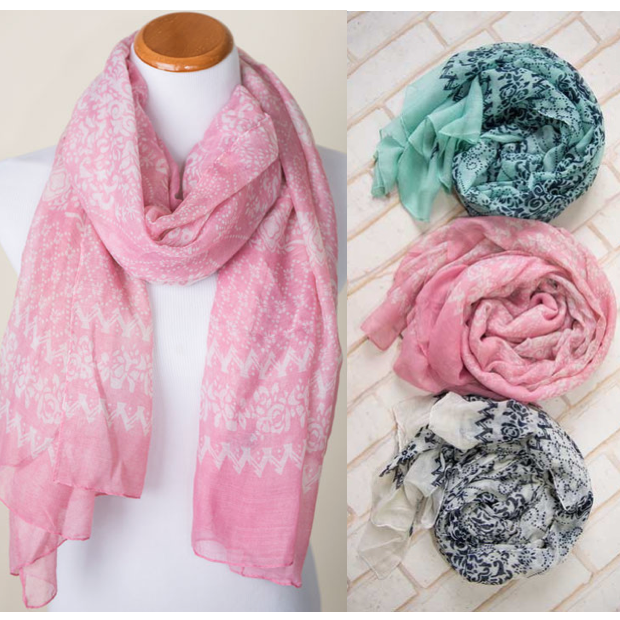 Floral Stamped Scarves Only $5.95, Regularly $19.95 + FREE Shipping! You are here: Home / Great Deals / Floral Stamped Scarves Only $5.95, Regularly $19.95 + FREE Shipping! Cents of Style has a great deal on these scarves. Pick up a Floral Stamped Scarf for Only $5.95, Regularly $19.95 + it’s FREE Shipping! Add a fun pop of floral color to your look with this lightweight scarf in mint/white, pink/white or navy/white! 68″ by 38″! Just use promo code HIPFLORAL at checkout to get this great price!